Outstanding breathability in a waterproof shell, the Descensionist Pants deliver up and down performance for the freeride backcountry specialist. You were hoping last nights storm would freshen up the conditions, but instead youre greeted with a mix of not-quite boilerplate and a topping of wind scour to keep the day spicy. When you need to make the best of any backcountry situation, forge ahead with the Descensionist Pants. Patagonia built these pants for unlimited kinetics in the backcountrys ever-changing conditions. Theyre our most breathable waterproof shells, made of a supersoft, 50-denier plain weave fabric with mechanical stretch to keep you in motion throughout the day; a DWR (durable water repellent) finish protects the fabric from saturation due to sloppy snow or hours of postholing. The soft, moisture-wicking interior glides over underlayers and moves moisture when your body is breathing from the inside out. Articulated patterning throughout the pants combined with the stretch of the fabric allows exceptional mobility for off-balance climbs and descents. Mesh-lined thigh vents with watertight, coated zippers keep air moving freely to reduce heat buildup; internal gaiters provide a tenacious seal even when youre postholing. At the waist, a soft, self-fabric lining adds all-day skin comfort and repels moisture to keep you dry. The internal belt (and belt loops) hold your pants where you want them, while a two-snap closure, a zip fly and a webbing loop on the rear yoke (connects to the powder skirt on any Patagonia Snow jacket) complete the waist details. 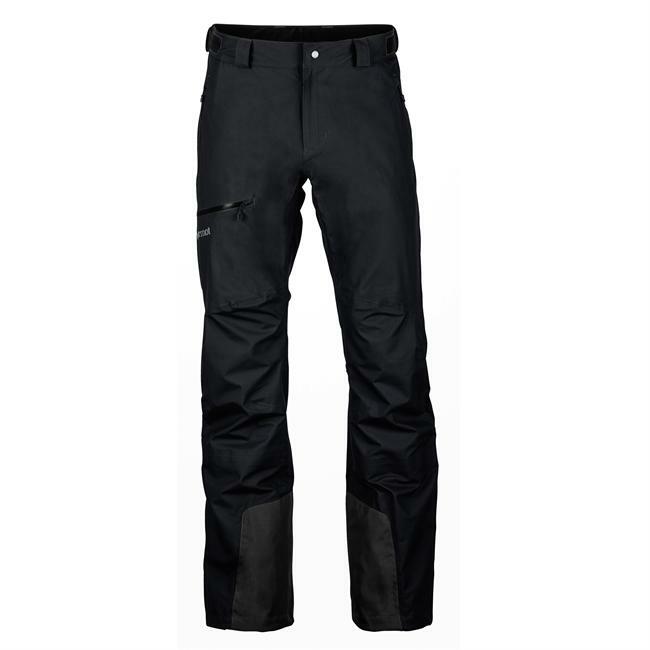 Other features include tough scuff guards, slim zip installation to reduce weight and bulk, two front pockets, two large thigh pockets and an embedded RECCO avalanche rescue reflector. 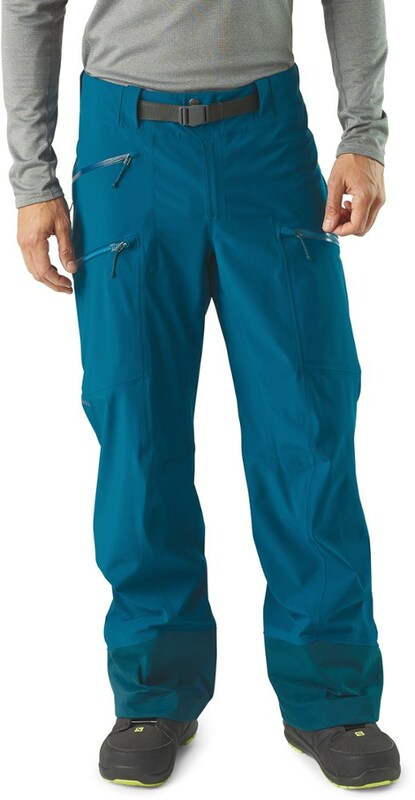 With outstanding breathability in a 3-layer weatherproof shell, the men's Patagonia Descensionist snow pants deliver up and downhill performance for freeride and backcountry specialists. Put it on, leave it on. Our most breathable weatherproof shell (ever), the Descensionist Pants deliver exceptional up and down performance for freeride and backcountry specialists. Made of a supersoft, 3-layer plain-weave shell fabric with a forgiving mechanical stretch so you can move freely throughout the day. A DWR (durable water repellent) finish protects the fabric from saturation due to wet snow and deep postholing sessions and increases abrasion resistance. The soft, moisture-wicking interior glides over underlayers and moves moisture when your body is breathing from the inside out. Articulated patterning throughout the pants combined with the stretch of the fabric allows exceptional mobility for climbing or descending. 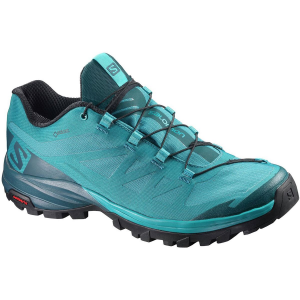 Thigh vents keep air moving freely to reduce heat buildup; internal gaiters provide a tenacious seal even when you're postholing breakable crust. At the waist, a soft, self-fabric lining adds all-day skin comfort and repels moisture to keep you dry. The internal belt (and belt loops) hold your pants where you want them, while a two-snap closure, a zip fly and a webbing loop on the rear yoke (connects to the powder skirt on any Patagonia(R) Snow jacket) complete the waist details. 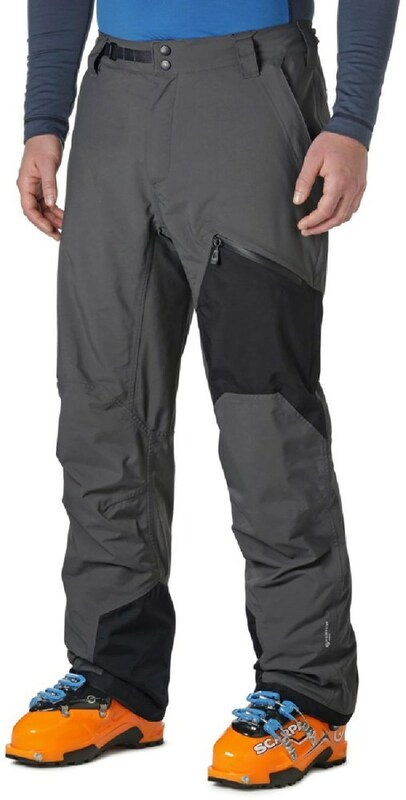 Other features include tough scuff guards, watertight coated zippers with slim zip installation to reduce weight and bulk, one hand pocket, two large thigh pockets and an embedded RECCO(R) avalanche rescue reflector. You have somewhat of a love/hate relationship with gravity in the winter. When you're skinning for hours or bootpacking up steep out-of-bounds slopes you sometimes can't stand it, but all is forgiven immediately when you're suddenly sailing through fresh snow, carving waist deep turns all the way home. For those who are constantly fighting gravity so they can find the best spots to befriend it, there's the Patagonia Descensionist Pant. Patagonia's most breathable waterproof shell-pant yet, the Descensionist is made from soft and stretchy three-layer fabric that'll keep you protected from drifting snow and howling winds without overheating at the first (or second, or third) sign of hard work. A moisture-managing knit backer wicks away sweat on wearying climbs, while zippered vents on the back thigh quickly release heat when you need to really air things out. Ankle gaiters keep out snow whether you're spraying powder or postholing your way to glory. The waist has an integrated, adjustable belt to keep your fit secure, while multiple front pockets give you easy access to necessary snacks and gear.